A bilingual celebration with a delicious ending. 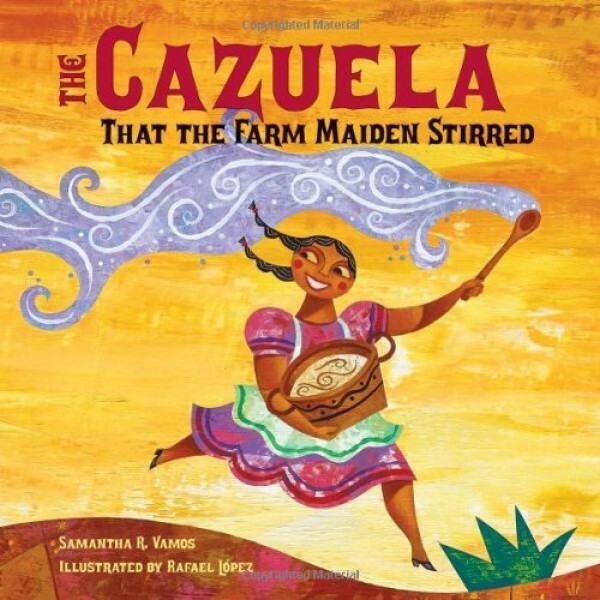 This is the story of how the farm maiden and all the farm animals worked together to make the rice pudding that they serve at the fiesta. With the familiarity of "The House That Jack Built," this story bubbles and builds just like the ingredients of the arroz con leche that everyone enjoys. Cleverly incorporating Spanish words, adding a new one in place of the English word from the previous page, this book makes learning the language easy and fun. Rafael Lopez covers each page with vibrant, exuberant color, celebrating tradition and community. Back matter includes a glossary of Spanish words and a recipe for arroz con leche perfect for everyone to make together and enjoy at story time.